Paul Pogba wasn’t at his usual best when Manchester United hosted Barcelona in the Champions League on Wednesday night. The France international failed to make any major impact, with his midfield partners Fred and Scott McTominay running the show from the middle of the park instead. The star midfielder has been linked with a move to Real Madrid this summer, and many supporters believe that their team talisman seems distracted with all the speculation surrounding his future. 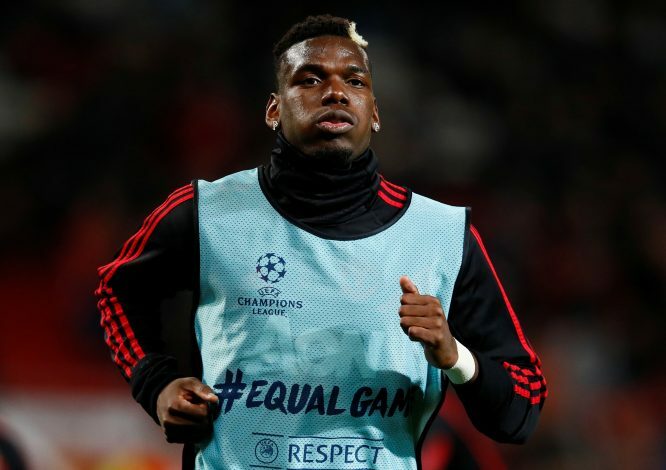 After the Barcelona game, which his side lost 1-0, Pogba was indirectly asked if he would be joining the Catalan giants’ arch-rivals next season. The 26-year-old then talked about the return leg, highlighting how Manchester United‘s comeback against PSG will surely be at the back of the Barca players’ minds during the game at Camp Nou. “Probably PSG will be in their minds, because they saw what we can do,” he said. “They will be comfortable on their own pitch but let’s see.